Watermans Road is a residential road located on the edge of Henley-on-Thames. 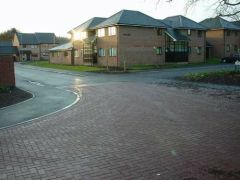 This picture shows the YMCA houses that are situated opposite the end of Watermans Road. The junction of Wilson Avenue with Watermans Road. 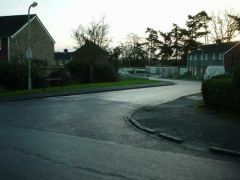 Watermans Road runs down towards Reading Road. 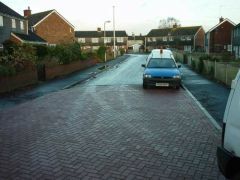 This picture shows the bottom of Watermans Road near to where it meets the YMCA houses.